Naminé [EX+] & 7★ Prime - Riku VS Roxas Draw! Naminé [EX+] and 7★ Prime - Riku VS Roxas have arrived! 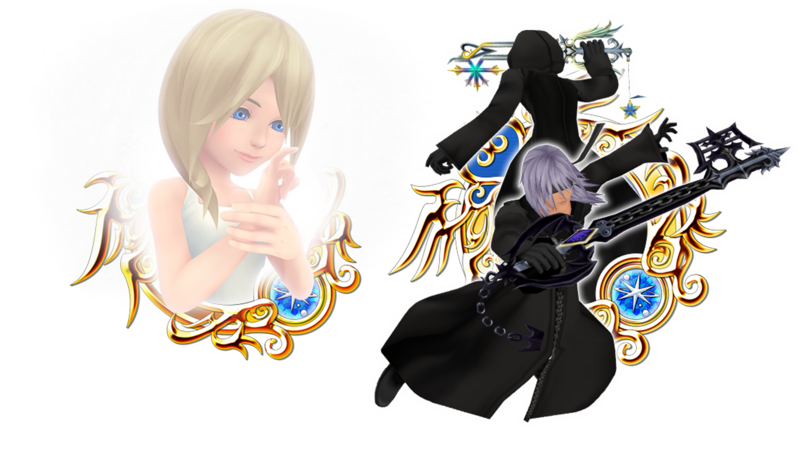 Naminé [EX+] turns the next Medal's attack into a group attack! Naminé [EX+] and Prime - Riku VS Roxas have arrived! Get a 7★ Prime - Riku VS Roxas within 5 draws from this Medal Deal! As you're also guaranteed to receive a 6★ Prime - Riku VS Roxas Medal each time you draw from this Deal, you'll be able to take full advantage of the 7★ version's 5 trait slots!! NOTE: The 6★ version of Prime - Riku VS Roxas will have 3 trait slots. Check below for a full list of the possible skills your 7★ Prime - Riku VS Roxas or Tier 5, 7★ Medal could come with! ・You are guaranteed to receive a 7★ Prime - Riku VS Roxas within 5 draws! ・You are guaranteed to receive a 6★ Prime - Riku VS Roxas Medal each time you draw from this banner! ・You are guaranteed to receive a Tier 5, 7★ Medal each time you draw from this banner. ・Boosted Naminé [EX+]: 1,000 more base Strength and Defense. ・Boosted 7★ Prime - Riku VS Roxas, 6★ Prime - Riku VS Roxas: 1,000 more base Strength and Defense. ・Please be assured that the count of this draw will not be reset even if Prime - Riku VS Roxas comes out in other draws. We are happy to announce that 10 new story quests will be available as of Aug. 16, 2018 12:00 a.m. (PT) / 7:00 (UTC)! After a hard journey you at last are reunited with Aladdin and his friends, and you head to the palace together. 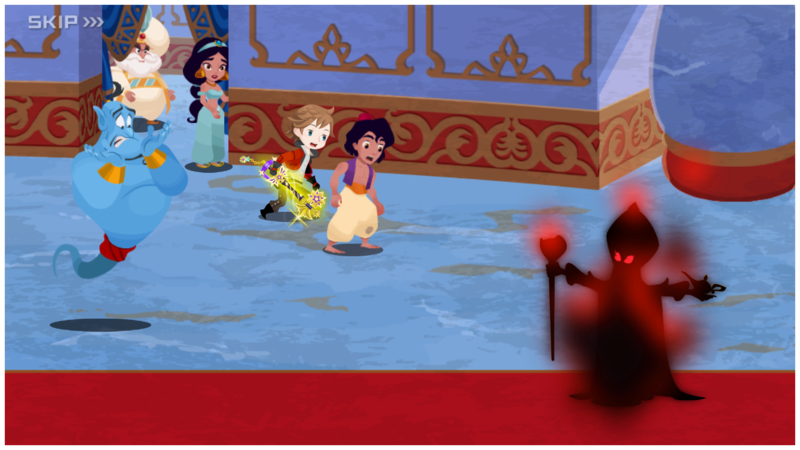 Will your group have what it takes to overcome Jafar?! Earn a total of 1000 Jewels with the KINGDOM HEARTS 358/2 Days Quiz Event! ・Answer a series of quiz questions correctly for 20 stages to earn a total of 1000 Jewels! ・The questions will test your knowledge of KINGDOM HEARTS 358/2 Days! Since I missed out on KA 17, I would love this Prime Riku vs Roxas, but am missing some jewels. Hope I can make up enough to pull the 5 mercy before banner leaves. Won't chase Namine, but if I get her in 5 pulls, that would be sweet! The new Namine EX+ has a really high draw rate compared to Kairi/Xion EX+, so you might get her within your 5 pulls if lucky. Nope. My luck in this game is the worst. I didn't get her, but I did get the 7* Riku vs. Roxas in 4 draws. I won't be chasing Namine. Not a big need for her right now.